Japan-based tech startup ITK has brought us one step closer to the Robocalypse. Roboticists around the world are working on manufacturing “sensitive” hands for robots suitable for touching humans or handling breakable objects, a problem that’s notoriously difficult to solve. ITK is now throwing their hat into the ring with Handroid a new model that seems to be one of the most advanced robot hands out there. 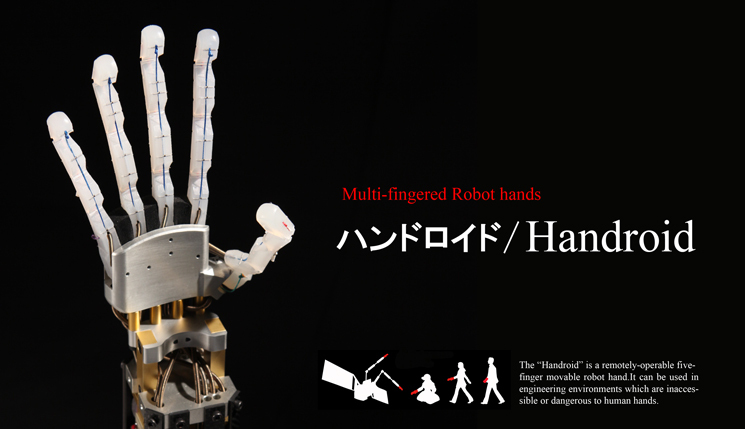 Sporting five fully movable fingers, the Handroid looks a lot like the hand Arnold Schwarzenegger uses in Terminator 2. Operators can control each finger remotely (the Handroid can mimic the operator’s movements), for example in environments where it’s too dangerous to use human hands. At 740g, the Handroid is very light, prompting ITK to look into possibilities to develop a prosthetic hand that could be controlled by brain waves or cerebral nerves. ITK plans to commercialize the Handroid in about two years for about $6,500 per unit – a very low price for such a device.